I'm am looking forward to watching the Royal Wedding tomorrow when Donald Trump will unite two great fans of American Idol in holy matrimony. 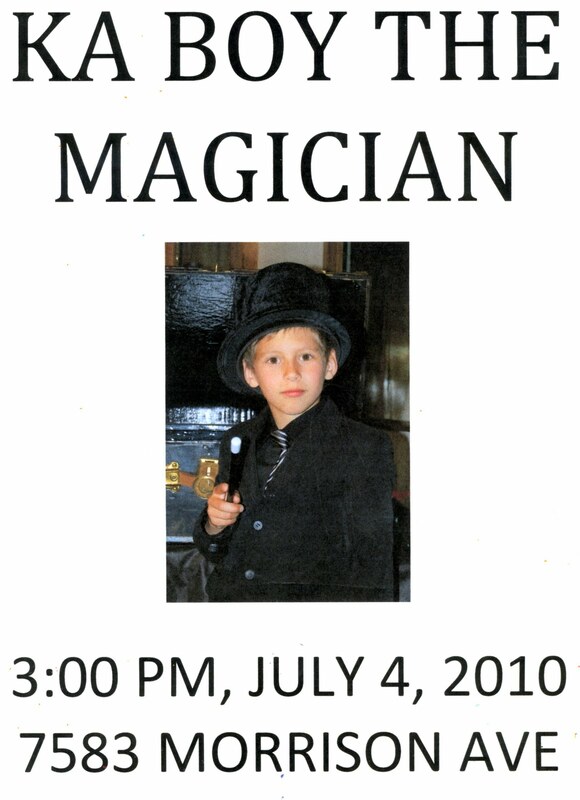 Now that I have your attention: please note today is the 9th birthday of the renaissance boy, Danielka Kalmykov. Danielka is the painter of the Eclectic Pirate that adorns this blog (see to the far right). 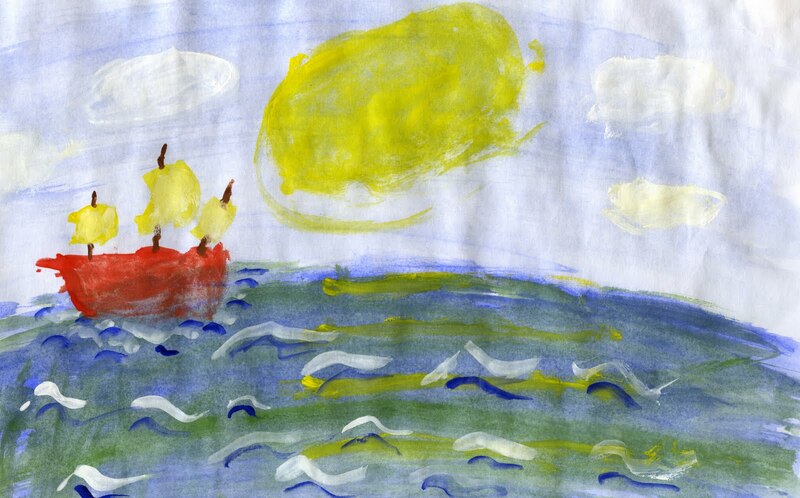 Also, he has painted such great works as Putin Girl (to the right) and Ships Upon the Ocean (see below). 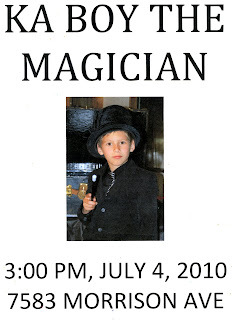 Not only is Danielka an artist and great fan of Spiderman, he is an accomplished magician, who, under the stage name of "Ka Boy the Magician," wowed audiences in Birch Bay in Summer 2010. In his leisure, Danielka is a nimble dancer, a competitive gymnast for the Podolsk team, and an enthusiastic skier. 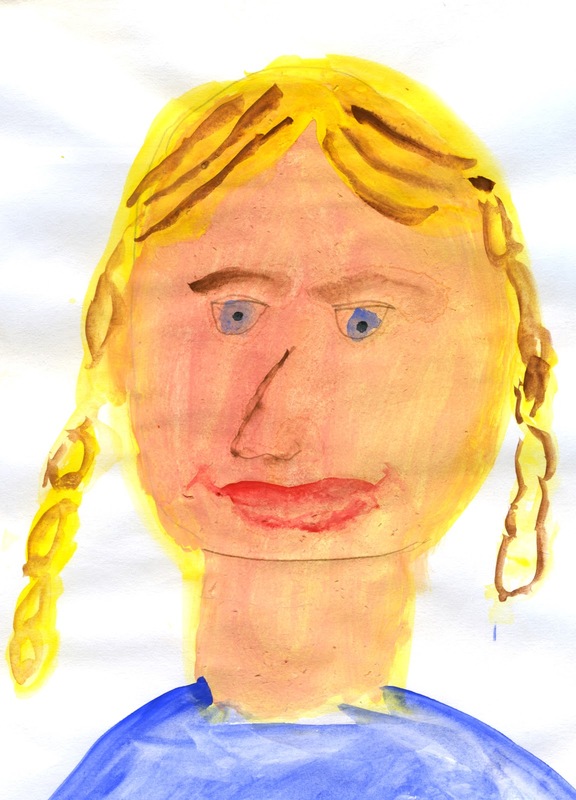 As might be expected, Danielka is a bit of a bon vivant, a boy about town, with an eye for pretty second graders. Some suspect he may be secretly engaged. Danielka is fluent not only in Russian and English, but also understands all of the secrets of Spiderman and Harry Potter, plus appreciates the post-modernist humor of Sponge Bob Square Pants. An avid reader, he won several awards last year from the Blaine, Washington public library for his voracious and eclectic (at best) reading. As Danielka enters his ninth year, we can only sit back and wonder what he will accomplish in coming months. We are sure we will be dazzled. As his Godfather Dan Durning and Godmother Natalia Gajdamaschko say about Danielka, "What a great kid." As part of the "wowed" audience, we can attest to Danielka's skill and charm. He also adeptly assisted in enhancing Samanatha the Salmon's costume for the Birch Bay Discovery Days Parade.